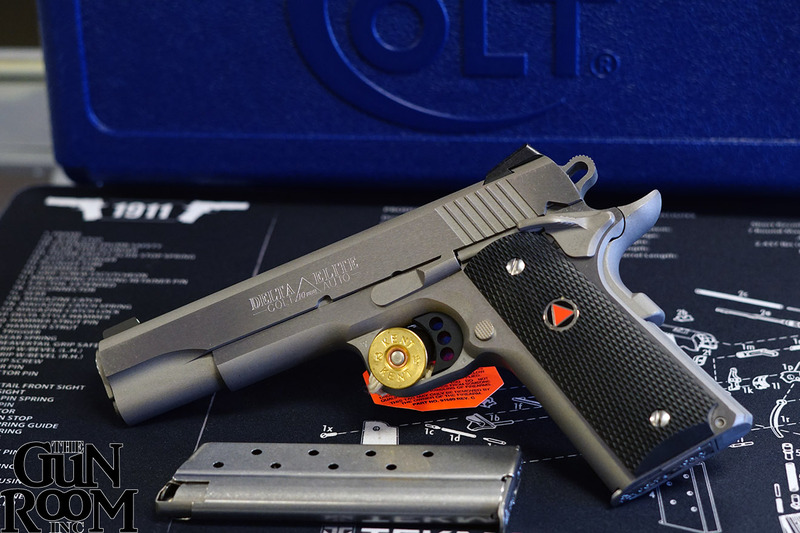 Introduced during the 2015 Shot Show in Las Vegas the Colt BAR is a very limited, very collectible rifle. 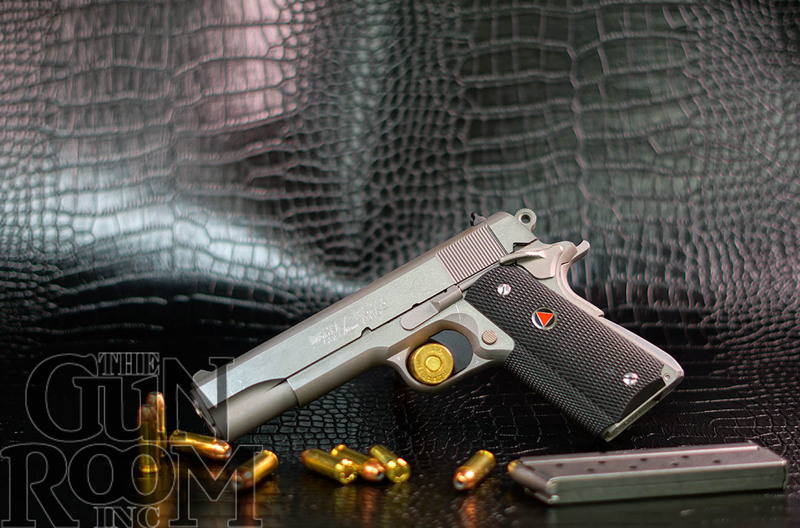 Chambered in 30-06 Springfield and in semi-automatic format this Colt BAR means anyone who’s able to buy a rifle legally can own it without a federal tax stamp. Slated for a production run not to exceed 1000 units and with less than 150 units actually produced in this variant makes it extremely collectible. Comes with a custom leather wrapped case, two magazines, sling, cleaning kit, and certificate of authenticity. To see this gun in person stop by The Gun Room Inc. on SE Foster Rd. in Portland Oregon. While cruising thru my email yesterday I noticed that exchange had a sale going on for Wiley X Eye Protection. For those of you wondering what the exchange is, imagine a shopping center for active US military and their dependents. Recently veterans were given access to the exchange online privileges and as such many of us who served are taking advantage of the savings. Anyhow as I said I had a look online as I always wanted another set to replace the ones we had back in the day, back in the fray. When I did an online search to compare pricing which most of us call “research” these days I found that The Gun Room Inc. right here in Portland had them in stock. If I needed anymore prodding to drive over to the FOPO neighborhood to get a Super Deluxe hamburger and do a bit of gun store browsing this was it. 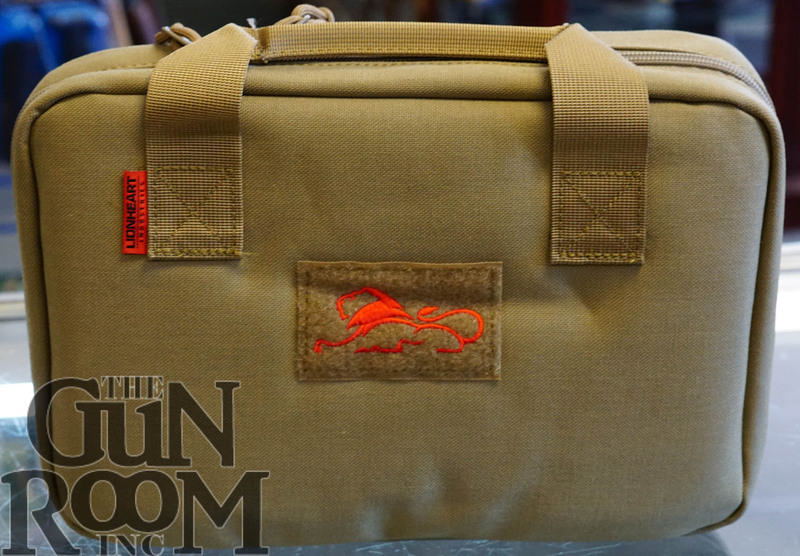 I was surprised to see that The Gun Room Inc. had many different styles to choose from and at pricing that was the same as buying it online from the exchange and waiting. One word of warning if you’re planning a similar trip, if you are trying to get into both stores like I did the Super Deluxe will take awhile if you are around dinner time and The Gun Room Inc. closes at 6pm so plan accordingly. I called The Gun Room Inc. while I waited for over 1/2 hour in the drive thru line at Super Deluxe and the person named Shaun said he’d wait for me to get there because it was looking like I was going to be late due to Super Deluxe popularity. I can’t thank the wonderful people at The Gun Room Inc. enough for waiting for me to make it and on top of everything giving me a veteran’s discount that made my purchase of Wiley X glasses even cheaper than I could get from the exchange. The moral to my story is I had a real experience by going out and shopping in person despite my “research” online. I got a delicious hamburger, a great deal on some Wiley X glasses, and I met some great people at my new go to gun shop. Thanks Gun Room! Thanks for the kind words, it was great meeting you and thank you for your service. Milo was digging around in the back of the shop looking for some peanuts or other treats he stashed when all of a sudden there came a squawking. Turns out Milo found some FN Five-seveN® stock that wanted out of the box. Those of you who were able to get these when we had them (before the military and police designations) will remember how much fun they were. I’ll put FN’s blurb at the bottom of this post. Imagine a pistol that holds 20 .556 caliber rounds in a magazine, then shrink down the ammo, magazine, pistol and get rid of the buffer tube and spring you were undoubtable thinking of and you have a FN Five-seven®. If you’re still with me you begin to see what the fuss is all about and you’re lacing up your boots to get down to The Gun Room Inc. to get one. Do you feel lucky? That’s what you’ll have to be to get your non- military or police hands on one today. We have a very few of these left and once they’re gone your luck runs out. I’ve been wanting to get my mom one of these for her daily life on the property with all of the critters she comes across. The problem is they are so hard to get ammo for right? Well color me surprised! I was able to have ammo on Monday from an order on Friday so it’s pretty easy to get legit ammo it seems. To me the real problem is now I have to decide if mom is getting one or I am! Sure, it’s a gun made out of plastic that goes for well North of $1000, and frankly not even close to my style but…. Milo sure knows how to pick winners for being a parrot! 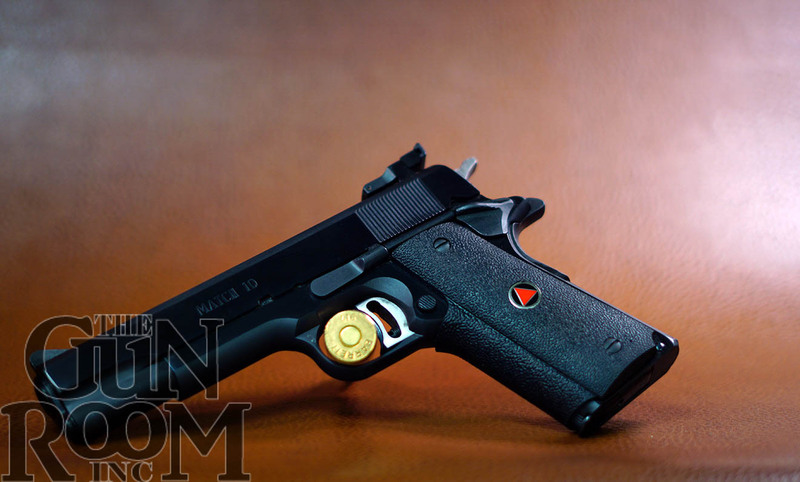 Lightweight, high firepower, multiple mag fun sitting right in front of me with only a form 4473 standing in my way. I think you know how this story is going to end. If you are just reading this you had already be reaching for the keys or you will miss out on this FN Five-seven® pistol until next time Milo goes on a treasure hunt in the tactical armory. 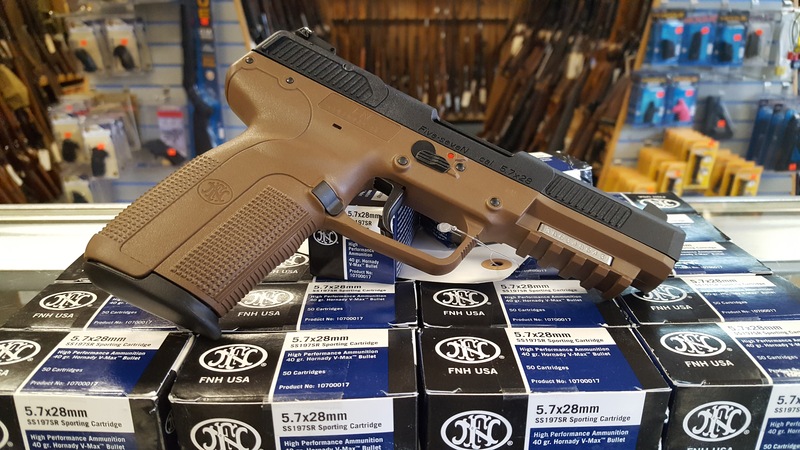 “The FN Five-seveN® pistol was developed in the early 1990s and features a cold hammer-forged barrel that is chrome-lined for extended service life. 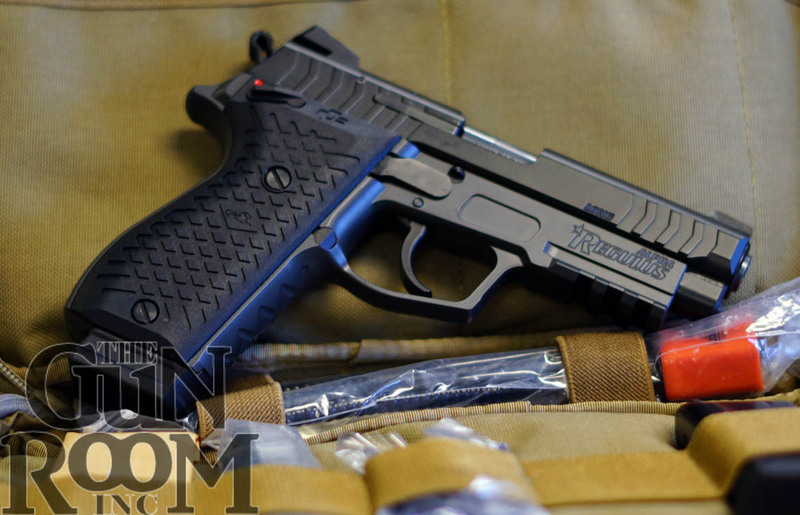 The polymer-framed FN Five-seveN® offers single-action operation, low felt recoil, 20-round magazine capacity, and is equipped with an ambidextrous, forward-mounted manual safety, and an accessory rail that accepts tactical lights and lasers. Realizing it’s officially summer and toasty outside this posting may find you folks wondering if I’m crazy or not talking about wool hats. Hear me out because it’ll make sense in a minute. Not too long ago I found myself looking for my old Stormy Kromer hat to wear out on a SAR mission. It was blustery and cold with a wind that wouldn’t stop that felt like it came from all directions! Snow was mixed in with rain and sleet making the day on the Zodiac a miserable one. It was at this point I remember a young lady borrowing my old Stormy Kromer and not bringing it back one winter morning. I had been on the look out for another hat that was all business with all day comfort ever since then. Considering that my missing hat was my grandpa’s and had been worn for millions of miles in the woods and on the water I figured it was nothing but a memory. I stumbled into The Gun Room in Portland after a media mission and low and behold to my amazement was the exact same hat, in my size, ready to go to a good home. I bought it on the spot and put in in my rescue bag post haste! Now when I’m able I’m going back to Portland and visiting The Gun Room again to get the Stormy Kromer jacket and vest for my hunting adventures. Thanks for stopping in! It was a pleasure meeting you and hearing about your adventures. To look at a classic Merkel Shotgun is to behold a thing of beauty and strength. 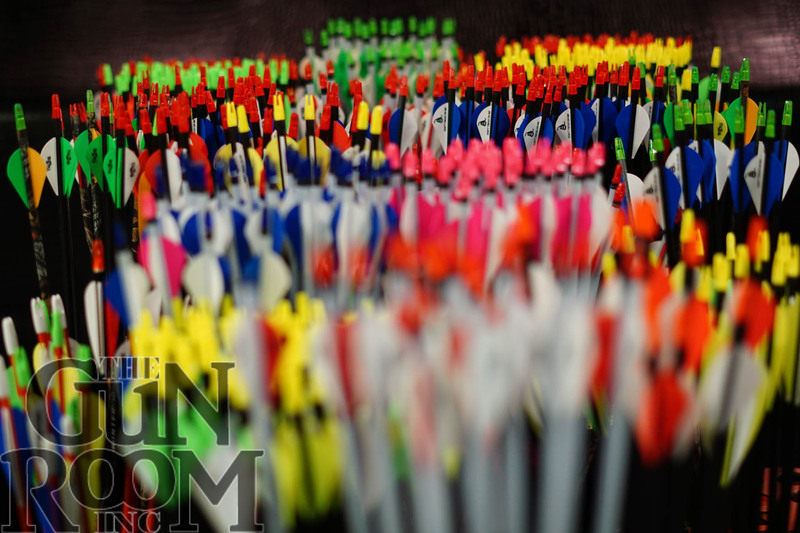 Shooting one is a sublime experience at the range or afield. These guns are available for private viewing by calling and arranging a time with Warren (503)777-3931. We’ll be doing a more thorough photo session and write up soon when we can free up some time. John Wayne was larger than life on the silver screen and generations have been raised to “The Duke” laying down the law. 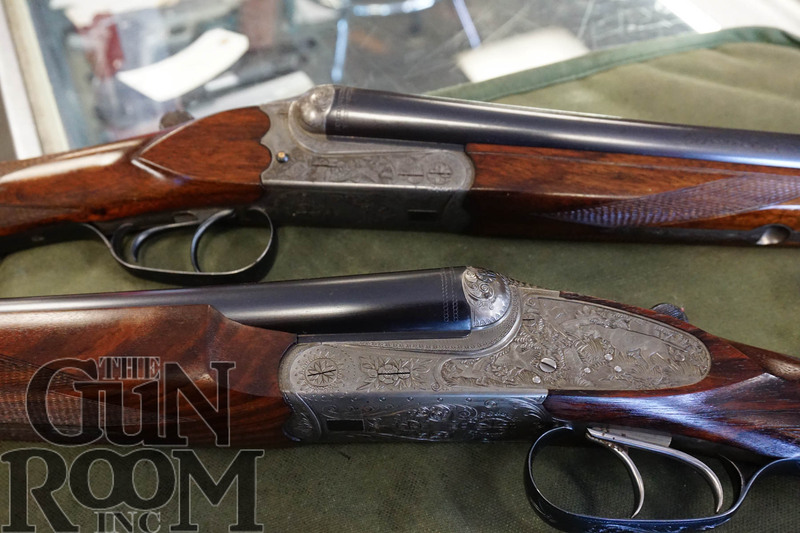 Winchester a name synonymous with quality produced a very few of these some time ago in a nod to “The Duke” the man the legend for collectors. This Winchester Model 94 John Wayne Commemorative is NIB and comes with the collectible scabbard and presentation rack making it highly sought after. Western aficionados better not wait on this one or it will be gone quicker than the buffalo. If you do miss this special rifle don’t fret your pretty head none, The Gun Room Inc. has more fine western classics than you can shake a stick at. “Milo loves Diana!” or that’s what he keeps saying, which is weird because Milo is a parrot and the only Diana around here is the Browning Superposed Diana. This particular shotgun shows in mint condition despite it’s birthday in 1976 over 40 years ago. Featuring full engraving from master engraver Angelo Bee the Belgian Browning Diana Superposed triggers endorphins and dopamine in your brain just to look at it. Milo isn’t the only one in love with “Diana Goddess Of The Hunt”, anyone who beholds this shotgun covets it. 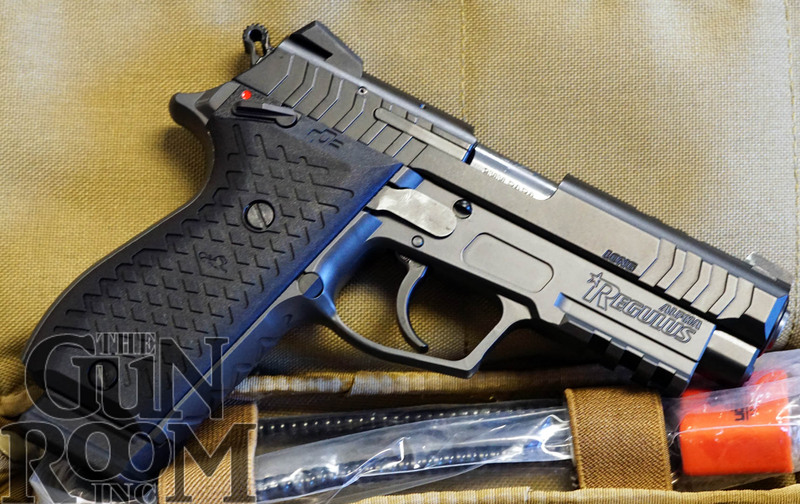 Don’t wait on this gun, if you want to see it in person stop by The Gun Room Inc. or miss it forever. Call (503)777-3931 and ask for Warren to setup a viewing of this extra special Belgian Browning Diana Superposed Shotgun.